Fog lights provides better clarity of vision while driving in obscure light conditions and are an added safety feature for your vehicle. It is to be used during conditions were visibility is poor e.g. fog, heavy rain, snow, dust or smoke. 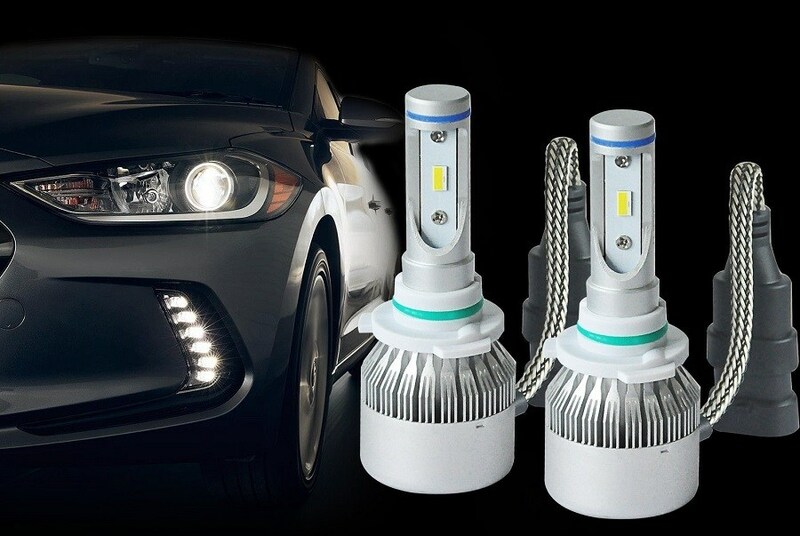 LED lights are popular as fog lights and is an upgrade from standard Halogen bulbs, since it shines brighter and is more reliable. It does not operate with a filament like Halogen bulbs do and therefore it is less susceptible to vibrations. They also use less of your system’s electrical power to operate and have a very long-life span. 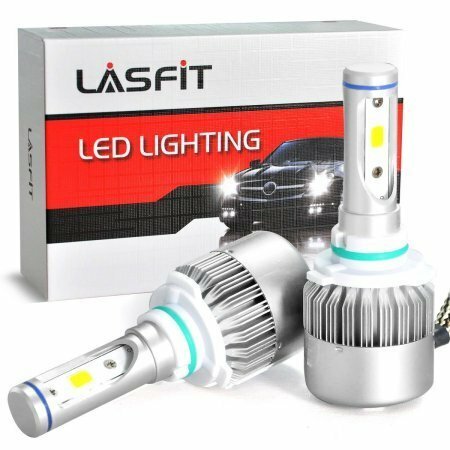 LASFIT has produced this very affordable LED Fog light to bring you home safely, and it does not damage the budget in the process. The LASFIT LED H10/ 0145/ 9140 Fog lights features two 30 W LED bulbs, providing a combined output of 60W. Add to these 7600 lumens (3800 per bulb) and it delivers a very bright and efficient light. Lumens is a basic unit to measure the flow of light and this LASFIT fog light features Amplified Luminous Flux, meaning a higher than normal flow of light. The lifespan of the LED bulbs is up to 30 000 hours, which causes the replacement of bulbs to be an infrequent event. 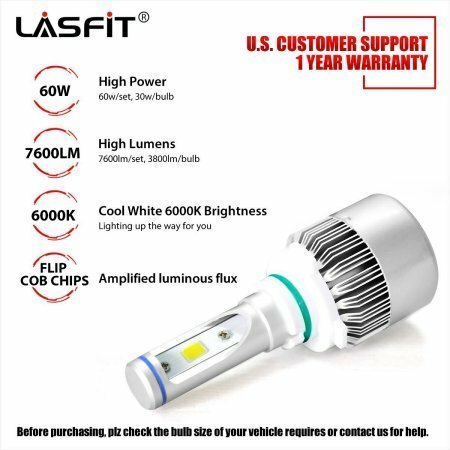 The LASFIT LED Fog light burns is a pure, cool white light with a color temperature of 6000K. The LED light source features the new COB Flip Chip. This is the latest Flip Chip technology which delivers less thermal resistance and decreases power dissipation more effectively. The COB Flip Chip technology provide a focused beam pattern without scatters and dark spots. This expands your field of vision as well as providing a clearer view. It is also not blinding to oncoming road traffic. 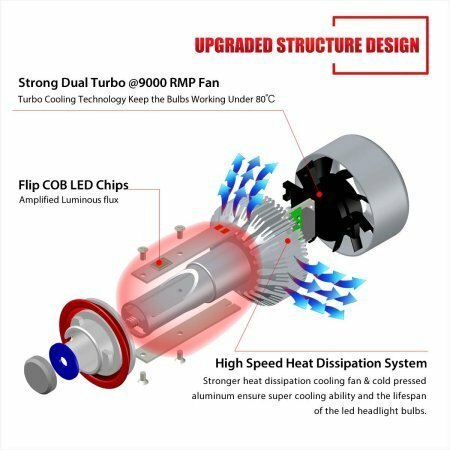 To keep heat output down and increase the lifespan of your LED lights, LASFIT has built in a 9000RPM Hydroid Pressure Fan which uses AirFlux Dual Cooling Technology. This, as well as the cold pressed aluminum used, decrease the temperature generated. It aims to keep the heat output less than 80 degrees Celsius. The LASFIT fog lights have an IP67 rating making it waterproof and the aluminum used makes it corrosion free as well. Installation of these lights are simple and easy and it is marketed as an all-in-one Plug&Play replacement bulb. It is designed with a built-in driver ballast that directly connects to your factory housing and plug. There are no relays or wire cutting involved. With some cars you might need professional installation, but with other it can be done at home. LASFIT has an installation service at an extra fee which you can inquire about when purchasing. Make sure that your vehicle is suitable for these lights before buying. The majority of reviews from users that bought the LASFIT Fog lights are positive. They are satisfied with the brightness and crispness of the light. It is a sure improvement from the standard Halogen bulbs. It is affordable and won’t break the bank, making it so much more appealing since most people only use their fog lights occasionally. Review about after-sales customer service are reassuring with quick responses from LASFIT about problems and hassle-free returns or replacements when needed. Customers who were not happy with these lights have had complaints that the lights do not fit securely into the housing and that there is a risk that if will fall out due to vibration. The fit can be modified with installation, but since it is advertised as a Plug&Play system, buyers feel that it should not be a problem. Some have reported interference with the vehicle’s radio since the cables are not insulated, while others did not have this issue at all. It seems like the type of vehicle you use it in plays a role here. A few people have complained that the fan is audible when the engine is not running, but that you can’t hear the noise when the engine is in full operation. There have been some reports of lights flickering, once again it seemed to depend on which vehicle you drive. Certain buyers have also complained that the bulbs don’t last as long as claimed and that they needed replacement much earlier. The LASFIT LED Fog light system can be purchased online at a very affordable price of less than 40 USD. We advise that you make use of a site like Amazon which is reputable and has a professional after sales customer service. Electrical appliances always run the risk of being damaged during transit and thus you want to make sure any return or replacement will be hassle free. The LASFIT LED Fog light system is a well-priced item and should provide sufficient light output to increase visibility in extreme weather conditions. It can provide clearer vision and also illuminate your vehicle to be more visible to other road users. Since it is affordable it is well worth trying out, see for yourself!